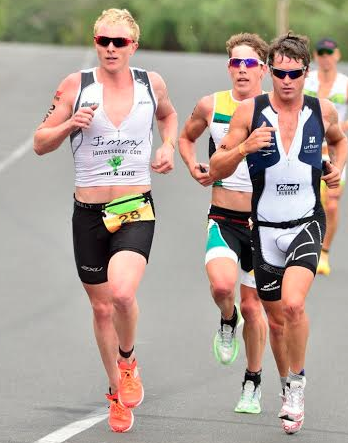 Coach Paul got a chance to Interview Australian professional triathlete, James (Jimmy) Seear. Check it out! Hey Jimmy, let's start out with a quick mini bio, shall we? My name is James Seear and after my first day at swim squad in Australia I have since gone by Jimmy. I was born in South Africa and have lived in England, USA, Germany, France and Australia. I have been lucky enough to travel the word representing Australia at triathlon for 9 years. I grew up racing ITU and reached World Number 1 Status in Under 23 and a silver medal at The World Championships in 2009. I have since changed my focus to reaching the pinnacle in triathlon the Hawaii Ironman. I am based in Boulder, Colorado racing in The States. I spend my spare time rebuilding cars or thinking of some other crazy projects with my dad. How long have you been a triathlete? What's your background? I was a swimmer from a young age and when I moved to Australia started doing Cross Country and Athletics at school. I found I could run ok and started to get a little bored with just swimming so I tried my first triathlon in 2001 and have never looked back. I have only just started the 70.3 distance and have been enjoying the added challenge. Do you have a typical weekly schedule? What is it? What about weekly volume? My coach Ben Day (daybyday coaching) works with a 10 day schedule. It is great as it keeps it fresh and lets the body grow and adapt with the training loads. A normal 7 days volume would be about Swim 25km, Ride 600, Run 80. The training gets adjusted depending on how the body is coping with the volumes. You started out with ITU (draft legal) racing, how has your training change since making the switch. With the change in distance and race structure the training has changed with a bit more strength endurance work and less speed work. I now work more in the range just below or at Threshold. It is also a long term plan of getting to Kona so I need to get some good miles in the body. A normal day in Australia is different to Boulder as Australia you start much earlier. Swim squad in Australia is at 5.30. In Boulder it is a much more relaxed start to the day. I don't do the same thing every day but I will have at least 1 session a day and a maximum of 4 sessions one being gym. I also like to cook so like to have a nice breakfast and dinner and mix things up. How do you survive/make an income as a professional triathlete? Being a professional triathlete and making millions of dollars doesn't really work. I have always been careful with my money and invested most of it over the years. I am also developing my skills to make a nice annual income from share trading. It takes the pressure off searching for sponsors and haggling for money just to pay the bills. Also helps to stretch my brain a bit with something not to do with sport. What are your goals for the next 3-5 years? What are your suggestions for Age Groupers wanting to turn pro? Triathlon has a funny way of rewarding you. Just when you seem to not see improvements it surprises you. So stick with it and just remember to enjoy yourself and ask questions from people you trust. Do you have a coach? Who is it? What do you find is the best training tool you have? I love the feedback Ben and I get from Trainingpeaks. The system is great at analysing the data I upload and it is a perfect way to monitor fatigue levels and training volumes. Do you use power, HR and if so how? I do use power and heart rate on the bike and gps and heart rate on the run. It is a good way to see how you race and then adjust training to help you preform better on race day. It gives you feedback on how you are going at training and if the training structure is working for you. What's your race day fuel of choice? What's a typical race week prep like for you? This will change depending on training block and what race is coming up. It is all about listening to the body and making sure to put the feet up and let the body rest and recover. I normally train more off feel and don't push through sessions if I feel bad. Do you follow a strict diet? Elaborate. What's a day of eating look like for you? I follow more of a lifestyle than a diet. I am not a fan of&nbsp;labelling&nbsp;it a diet. I have worked with Darryl from Shotz for many years at playing with nutrition. Best way to describe how I eat is eat as if there are no grocery stores only farms. So avoid refined sugars,&nbsp;processed&nbsp;and refined foods. I eat foods in their most natural state and the body rewards you with great amounts of energy. It can be challenging while traveling so it takes a little bit of preparation and planning. Thats all for now! Thanks for stopping by! To find out more about Jimmy, click HERE! For more interviews like this and other interesting stuff. Be sure to subscribe to the blog and LIKE us on Facebook!